I rarely rate a film that was made beyond 1990 but, hey, this is Halloween, the mother of all slasher flicks [If you exclude Alfred Hitchcock's Psycho]. There are a bazillion reviews out there of this highly anticipated film, so I'll keep my comments short. Here's what works: The opening title sequence is brilliant as a dried up pumpkin is resurrected. It pays homage to the original and is perfectly executed. The revamped soundtrack by John Carpenter, Cody Carpenter & Daniel A. Davis puts a fresh coat of paint on what is one of the finest horror soundtracks of all time. The familiar themes are there, but they are beefed up a bit and it works flawlessly. Then there's Jamie Lee Curtis as Laurie Strode. This time out she's a gun-toting force to be reckoned with. It's the right evolution for her character and Curtis, of course, gives a great performance. I would argue she holds the film together. It would be in serious trouble without her. I also love the exploration of how trauma affects future generations. Strode is estranged from her daughter, Karen, whom she trained to be a survivalist. Judy Greer [Jurassic World, Cursed] does a solid job with Karen who sees her mother as obsessed with Michael Meyers to the point of serious mental illness. The tension between these two characters is quite believable and serves the story well. Finally we have the granddaughter, Allyson, who serves as the bridge between these two generations. Andi Matichack is good in the role and rounds out the trinity nicely. Here's what doesn't work. Most of the kills felt like I've seen them WAY too many times before and a number of them happen off screen. It's supposed to be a slasher flick so let's get to slashing! Considering it received an R rating, they could have upped the gore a bit. Then there's Michael Meyers supernatural ability to arrive on scene before cars get there. Is he a marathon runner? Hardly, considering he slowly but surely shambles his way across Haddonfield, it's ridiculous for him to be all over the place. If the director had done this element of the movie well, I wouldn't be asking the question. Another thing that didn't work for me, and I got skewered in a Facebook horror group for saying this, is that Allyson's relationships with the boys who surrounded her seemed a little too 1970's and not enough MeToo generation. It was all a little too cliche for me and I would have liked to have seen at least one teen male who wasn't a drunk horn-dog. Rant over. Someone actually told me not to bring the MeToo movement into a slasher flick but, I disagree. We need to stop perpetuating these stereotypes and give our teen boys better role models to follow EVEN in a slasher flick. Rant over. 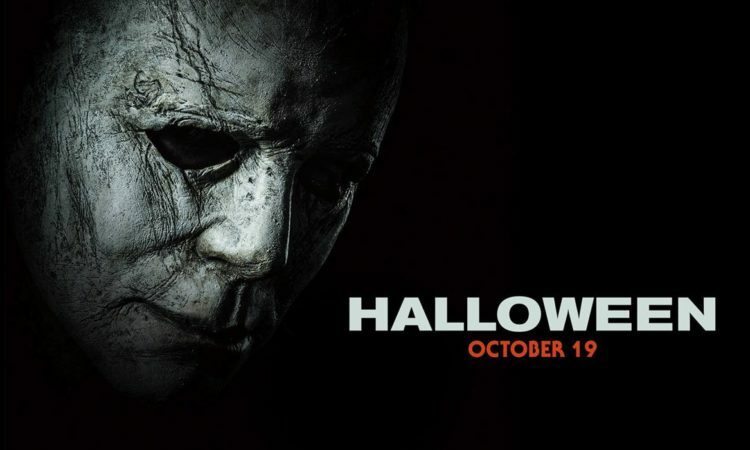 Overall, I enjoyed Halloween 2018 and thought it was one of the strongest films in the series. My only frustration is that I saw glimpses of brilliance in it that were never fully explored. So close, but yet so far.